With our record against Albion Rovers and the fact that we always seem to struggle against them both result wise and football wise it was probably a surprise to many that the Coatbridge side were one of our pre-season games. The majority of the starting eleven from the Clyde game started once more though Dan Nimmo was replaced by a trialist in Gambian Hassan Nyang who was with Three Bridges FC, Crawley but has since moved to the Bathgate area. Bryan Hodge was absent through injury but John Gemmell, David Rowson and Craig Anderson all returned. The last meeting between the clubs saw Chris Smith make his debut and he would not forget it conceding a goal in 13 seconds. He was switched on from the start which was just as well as the rest of the team were slow to get going. Scott Chaplain was to be denied by a brilliant save from the keeper in the first minute of the game. It was to be a frustrating start to the game for the Warriors and there was little goalmouth action at the attacking end of the field. Craig Anderson was involved in a heated exchange with Rovers players after a rash tackle by the Warrior and although no cards were shown in the incident there was one in the 25th minute when Ross McMillan threw the ball close to a Rovers player after being fouled and was cautioned for dissent. Chances for Stenhousemuir were at a premium in this game and it took until the 33rd minute before they tested Rovers. An Eddie Malone corner was headed goalwards by Nyang and cleared off the line, he then saw a shot from the rebound saved by Neil Parry. Albion Rovers suffered a blow in the 35th minute when Scott Sally limped off the field and was eventually replaced by Liam Cusack. The Coatbridge team felt that they were unlucky not to go into the lead just before half time when ex-Stirling Albion player Josh Flood struck a fine shot off the post from 25 yards. The second half started the same as the first had finished with Rovers on top and they took a deserved lead in the 49th minute when Cusack, a trialist who was last with Cowdenbeath, struck a low volley into the net with Chris Smith unable to get near the strike from 12 yards. As can happen in these games there were a number of substitutions that affected the flow the game. One of the players to represent Stenhousemuir was Billy Davies who had previously been with Pollok. There were still few chances created by the home side and it took until the 80th minute before they created a chance worthy of the name when a Sean Lynch corner was headed off the post by Salim Koiuder-Aissa. Rovers were not to be troubled again though and were victors thanks to that Cusack goal. Despite the struggles of the home side many of whom seemed heavy legged after the morning training it was another game that answered some questions for the manager about the forthcoming season. 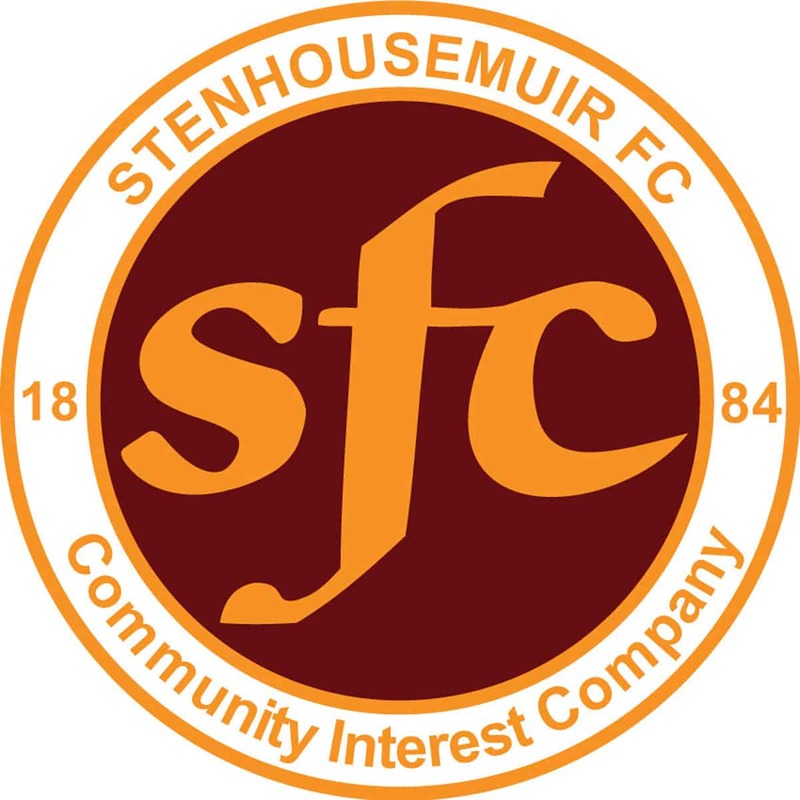 Stenhousemuir – C.Smith, Devlin [Docherty 65], Malone [Lawson h/t], Nyang [t], McMillan [Nimmo h/t], Brash, Anderson [Davies 45][t], Rowson, Gemmell [Kouider-Aissa 65], Lynch [Thomson 65] and D.Smith. Sub not used – Shaw. Albion Rovers – Parry [McGinley 74], Reid, M.Dunlop, Benton [McGuire 61], Donnelly, Nicoll, Flood, Innes [Sloss 61], Sally [Cusack 38], Chaplain [Davidson 61] and Miller [McLean 74]. Sub not used – Shepherd. I initially had McLean replacing Sally but as Cusack has been credited with the goal by the Albion Rovers manager I’m assuming that they had the wrong jerseys on, or that I had subs wrong in programme.